As I write this, the Quest for Inter-City train is complete – my re-creation of the 7740 Inter-City Passenger Train is finished. Up and running, rolling fast into the sunset. I’ll get to that in the next post or two. The last two building sessions really capture what has gone wrong and what went right, for me, in this project – and in this hobby. The best of times, the worst of times you could say. The first time I completed the train, or mostly completed it, was some nights ago. I had acquired the last bricks a few days previous. Late in the evening, rest of the family retired for the night, I take out my containers and tools and start bricking away. I have all the other parts new and/or cleaned, except the old grey which is mixed with extraneous black bricks in a box. I think it may be a bit harsh to say it was the worst of times, but it definitely wasn’t the grande finale I would want for the project. Two and a half hours later, closer to three in the morning, I’m done. Well, almost. Most of the old grey bricks haven’t been washed, some smaller grey bits still to be found from the big box. But sure, there’s the train. Now what? Off to bed. I’d like to say it was fun, but truth be told, it seemed like overtime without pay. I could have stopped early and probably should have, but soldiered on because I wanted to see something done. Contrast this with the final building session on a sunny afternoon, birds are singing, mind and body rested, good light, good time. I had prepared the day before by washing and drying the remaining old grey bits and the rest of the train and platform needed perhaps 30% re-building. I start clicking away and loving it. It was really the best solo building sessions of the past year and a half. Sure, it was great to complete something I had sporadically worked towards for a year, but most importantly I enjoyed the build, the set, the LEGO. Really, it was the best of times. After the build was done and the mandatory photographs taken, I spent a good while simply admiring and running the train on the meter and a half of track I had on hand. It wasn’t something done out of obligation or ritual, it felt genuinely good to enjoy the train and appreciate the design that had gone into it some 33+ years ago. 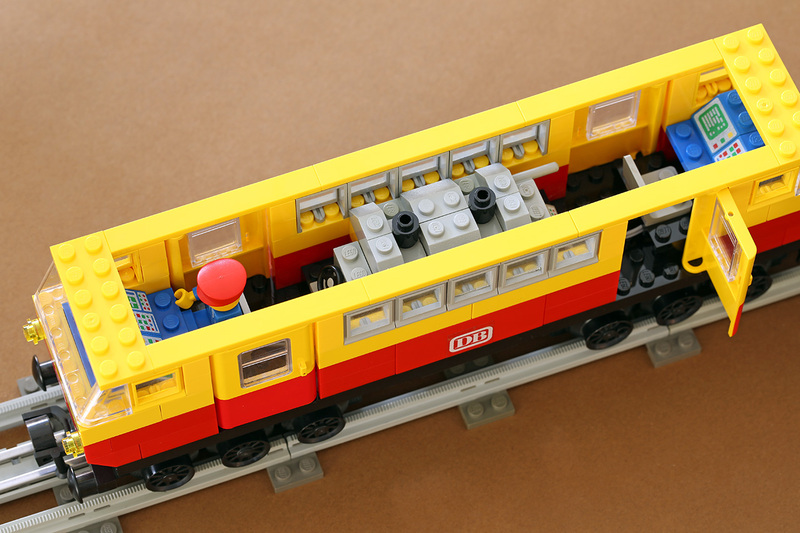 If at that moment I would have had BrickLink open, I think a track system and the parts for a few more trains would be headed my way already. Now, I’ll cool my head before any such thoughts, but the mood was telling of a very successful hobby afternoon. That, that is the feeling to build for.